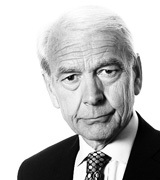 John Humphrys - Another Referendum: the Solution to Brexit? September 05, 2018, 2:21 p.m.
A major trade union has added its voice to the campaign for voters to be given another say on Brexit through a referendum on the final deal. It’s an idea strongly opposed by the government and not officially supported by the Labour opposition. But as the Prime Minister’s plan for how Brexit might work comes under fierce attack from all sides, and as a former governor of the Bank of England charges the whole political establishment with ‘incompetence’ on the issue, is it time to offer the people the final say? He was anxious to add, however, that his union had no wish to overturn the decision of the 2016 referendum which decided that Britain should leave the European Union. Rather, the new referendum would vote solely on whether the terms for doing so were acceptable. But others campaigning for another referendum want the option of reversing the decision in principle to leave to be very much on the ballot paper. The “People’s Vote” campaigners argue that all options should be available for people to choose from. They would include accepting the terms of exit that the government finally negotiates; rejecting them while still advocating Brexit, and reversing the whole process so that Britain stays in the EU. It’s a cross-party campaign, backed officially by the Liberal Democrats and the Green Party but also by individual MPs in other parties. In June it organised a march that brought thousands on to the streets of London in support and it has raised considerable financial support from those who think Brexit is an unmitigated disaster. Last month, James Dunkerton, the boss of the fashion label Superdry, gave the campaign a million pounds. Supporters of this idea argue that the first referendum asked only the broadest question: should Britain stay in the EU or leave it? But few voters, they say, knew much about what the implications of the choice would be and no one could know what the actual terms of leaving would entail because negotiations had not even begun. In short, it was a shot in the dark and only now do we have enough light to see what is involved. Ben Bradshaw, the former Labour Europe minister who backed Remain, argues in favour of the People’s Vote on the grounds of ‘the democratic right of the people to change their minds’. But the government is firmly opposed. Dominic Raab, who took over as Brexit secretary in July, argues that if the deal he is trying to negotiate were to be subject to a second referendum it would strengthen the hand of the EU negotiators enormously. They would simply hold out for a very tough deal in the hope that it would be so onerous on Britain that voters in the subsequent referendum would throw it out and decide to stay in the EU after all. Others argue that providing any opportunity for the original referendum decision to be reversed would outrage those Brexiteers who thought the referendum had finally settled the issue. And, they add, it would simply provide ammunition to those who believe that British politics is undemocratically dominated by a metropolitan political establishment determined to call all the shots and contemptuous of the views of ‘ordinary people’ out in the country. That underlying belief, they say, goes some way to explain the referendum result itself, a result that caught the establishment almost wholly unawares. Barry Gardiner, Labour’s shadow international trade secretary, has warned of ‘civil disobedience’ if a second referendum risked reversing the result of the first one. It is Labour’s official policy not to support one but they are hedging their bets by saying the idea should not be entirely taken off the table. Theresa May is not equivocal. She has insisted that there will be no second referendum ‘in any circumstances’. This is consistent with the very first thing she said about Brexit when she became prime minister: ‘Brexit means Brexit’. The whole basis of her increasingly shaky political support depends on her commitment to delivering the policy of leaving the EU decided by the referendum. But events may overwhelm her. The plan she cooked up at Chequers in July, and which led to the resignation of two prominent Brexiteers from her cabinet, is now being assailed from all sides. Jacob Rees-Mogg, the chairman of the European Research Group of around sixty Brexit-supporting backbench Tory MPs, calls it ‘absolute rubbish’, and Boris Johnson, who resigned as foreign secretary over the issue, is planning to address a thousand-strong rally at the Tory Party conference later this month during which ‘chuck Chequers’ is expected to be his message. Tory Remainers, such as Justine Greening, the former education secretary, are equally scathing. In short, the Prime Minister’s Brexiteer opponents regard Chequers as a betrayal of the referendum result, while her Remainer critics regard it as producing the worst of all worlds. They say we would still be beholden to the EU for setting the rules but we’ have no say over them. Meanwhile, the EU’s chief negotiator, Michel Barnier, having initially been diplomatic about the Chequers proposal, has come out strongly against it. So much so, in fact, that Mr Rees-Mogg was able to say that he and Monsieur Barnier were ‘in a considerable degree of agreement’. It is this state of affairs which led Lord King, the former governor of the Bank of England, to charge the entire political establishment of ‘incompetence’ over Brexit. He said it ‘beggared belief’ that the sixth largest economy in the world should be starting to talk about stockpiling food and medicine because the prospect of leaving the EU without any deal now seemed so much more likely. The Prime Minister has insisted that Chequers is merely the basis for discussion with the EU and that much is still negotiable. She may be calculating that the issue of the long-term trade relationship between Britain and the EU, which the plan outlines, can be kicked into the long grass and that a form of words can be found to cover it to enable a deal on the more urgent issue of the immediate terms of Britain’s withdrawal next March to be agreed later this year. It’s that withdrawal agreement that will be subject to a ‘meaningful vote’ by the House of Commons, and the Prime Minister may be hoping that, despite the criticism of her plans from all sides, MPs will ultimately back her, not least if the increasingly imminent perils of ending up with no deal starts to alarm them. But everyone accepts that the vote will be tight and so might well be lost. What happens then? Mr Rees-Mogg’s group is to publish an alternative plan shortly, but that too seems unlikely to be able to command majority support in the Commons, not least because the Labour Party is bound to vote according to its calculation of the best chance of bringing the government down. In other words, the Brexit process could find itself stuck, with no obvious way forward that could gain the support of the Commons. In these circumstances, Mrs May might resign, or call a general election. But, given the current neck-and-neck state of the polls, a new prime minister or a new post-election government might find itself in exactly the same place. And it’s in these circumstances that the idea of a second referendum might start to appeal to those who now are so resolutely opposed to it. Britain would then ask the EU for more time to hammer out a deal and then put whatever emerged to the people, so breaking the impasse. Supporters of the “People’s Vote”, however, are not interested in waiting for such hypothetical circumstances to arise. They believe that a second referendum, including the option of staying in the EU, is right in principle and should be agreed on now. Are they right?